291 p., 18,1 x 25,4 cm. In charge of the edition: Edgar Morscher. 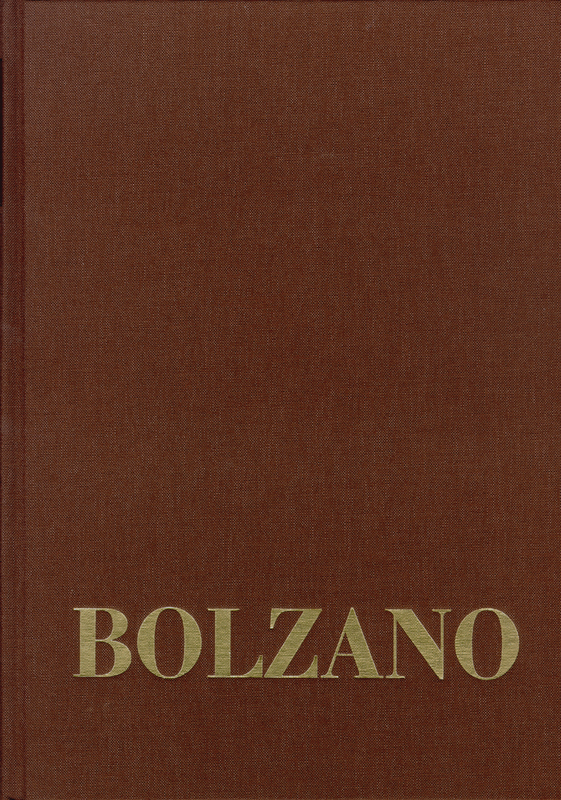 The volume I, 1-3 contains 19 letters written by Bolzano to his mother and 542 letters to his brother Johann. The last letter is dated September 7, 1848. Many of the letters deal with ordering and borrowing books and in addition with running everyday errands. Bolzano obviously did not discuss academic subjects with his mother and his brother. These letters do however constitute a significant documentation of his everyday life and his travels and are eloquent evidence of the way he dealt with his brother Johann and the affection with which he treated his mother.